At the end of Huckleberry Finn, on the eve of the Civil War, Huck and his pal Tom Sawyer 'light out for the Territory' to avoid 'sivilization.' 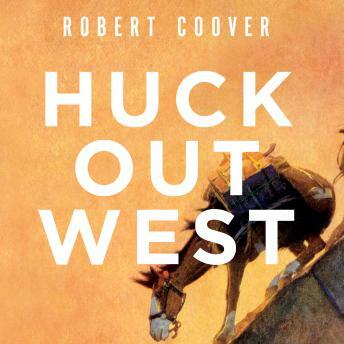 In Robert Coover's vision of their Western adventures, Huck and Tom start by joining the famous but short-lived Pony Express. Tom becomes something of a hero and decides he'd rather own civilization than escape it, returning east to get a wife and a law degree. But Huck stays alone in the Territory; he guides wagon trains, scouts for both sides in the war, wrangles horses on a Chisholm Trail cattle drive, joins a bandit gang, finds an ill-fated pal in an army fort and another in a Lakota Sioux tribe, and eventually finds himself in the Black Hills just ahead of the 1876 Gold Rush. In the course of his adventures, Huck reunites with Tom, Jim, and Becky Thatcher and faces some hard truths and harder choices.